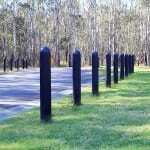 High Visibility Bollards Preventing Nuisance Impacts. 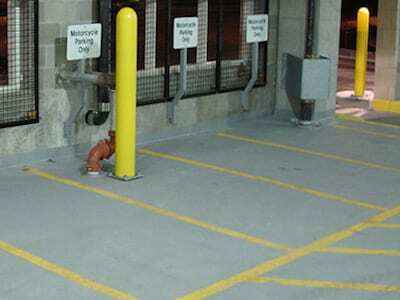 When it comes to meeting your parking barrier requirements, never take shortcuts! 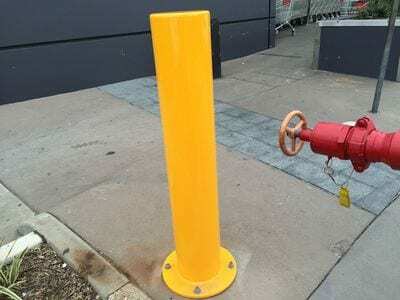 Protect your residential and commercial properties and prevent unauthorised vehicular access with our highly visible, durable and easy-to-install base plated bollards. 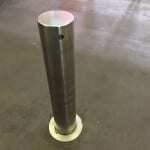 Our bollards are hot dip galvanised prior to powder coating, providing a durable and highly visible security control solution. 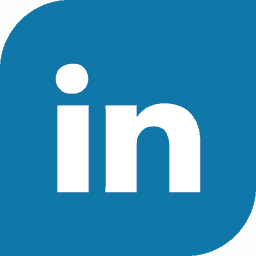 We understand that each client has different preferences and each property has different specifications. 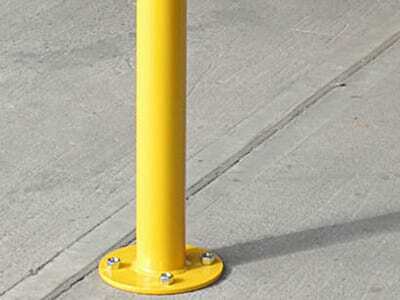 Our parking barrier bollards are available with pedestrian-friendly base plates or can be manufactured to suit in-ground installations. 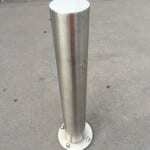 Base plated bollards are widely used in various business applications including hospitals, banks, shopping centres and other public locations, and they are installed directly to a concrete surface as heavy-duty car park barriers. 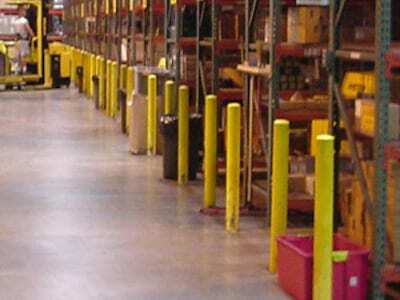 Managing pedestrian passage and vehicular access is part of ensuring the overall safety of your property. 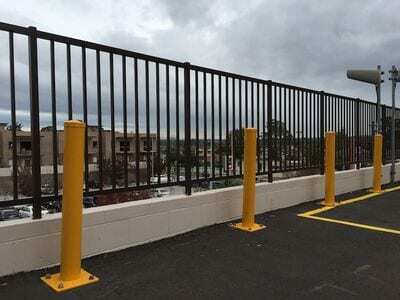 Metal Fencing Specialists are here to help you through the process of selecting the best solutions for your parking barrier and security fencing needs. 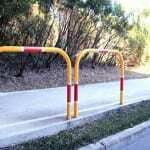 Call us on 1300 904 284 to discuss your options with our professional installers.